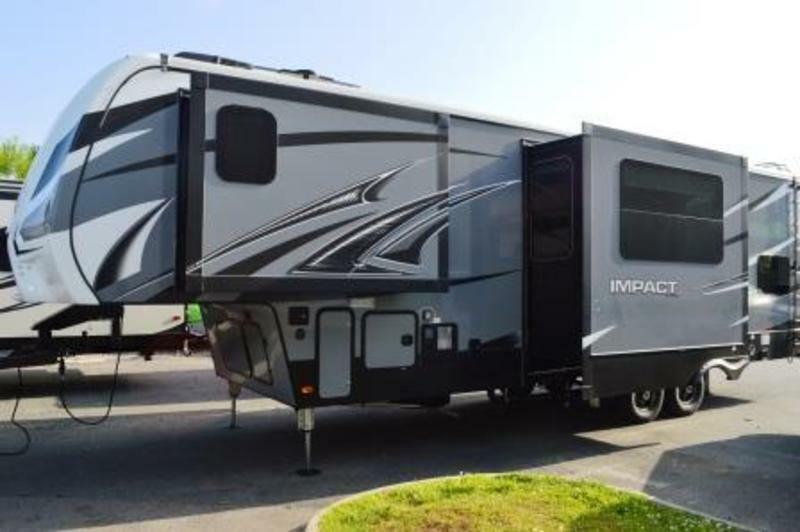 The RV seem to be in excellent condition as it is a 2017 model. No signs of wear or scratches anywhere. The sellers are having to move where they just can not us it and are sacrificing with having to sell. Nice opportunity to get like new with out the like new price. Stock #124049 2017 Forest River Sierra 372 LOK in brand new condition! 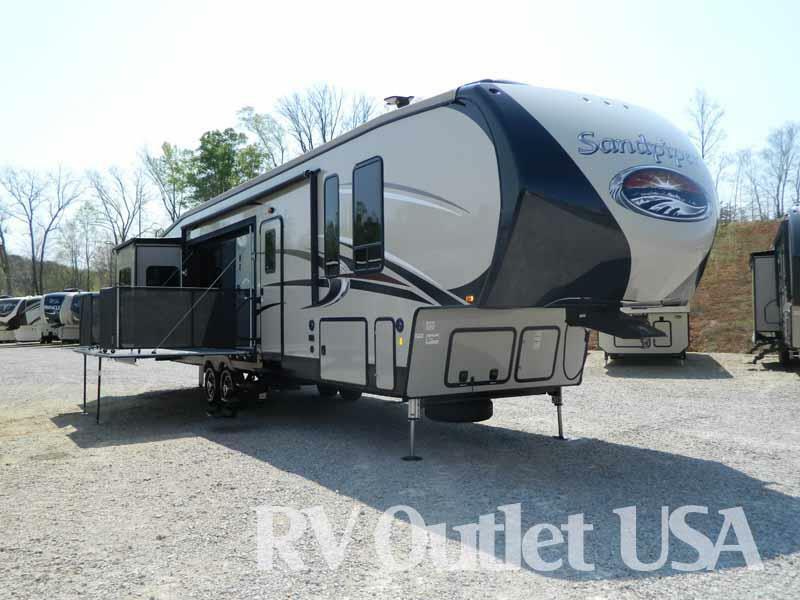 This 5th wheel has everything you need and more! Reason for selling is moving. 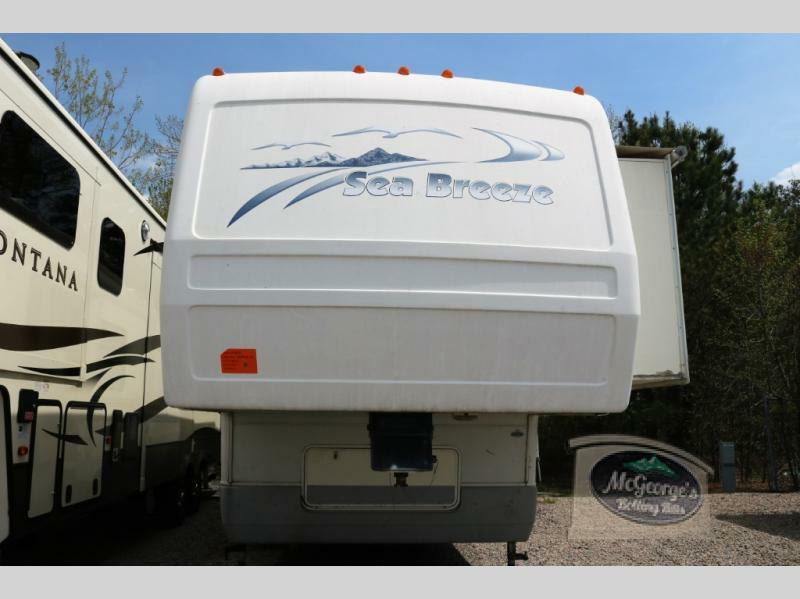 1999 SEA BREEZE Sea Breeze 2033, Call for details. 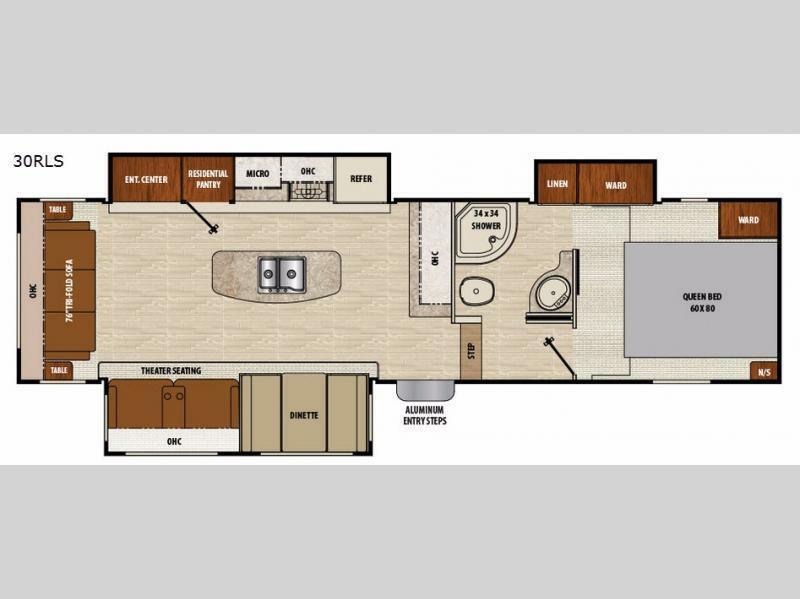 2015 Prime Time RV Sanibel 3251, The Sanibel 3251 Residential fifth wheel by Prime Time Manufacturing offers a rear entertainment as well as triple slides.As you enter the 3251, to the left is a slide with a free-standing dinette and two recliners. The rear wall has an entertainment center. The other slide has a j-lounge sofa and ottoman, three burner range, and refrigerator. There is plenty of counter space with the L-shaped counter and double kitchen sink. You will also find a nice size pantry. Stepping up the stairs, the bathroom is on the left. Inside the bathroom there is a toilet, linen, shower with seat, and sink. The front bedroom has a king bed slide, walk-in closet with shoe storage, washer and dryer prepped, and a dresser. 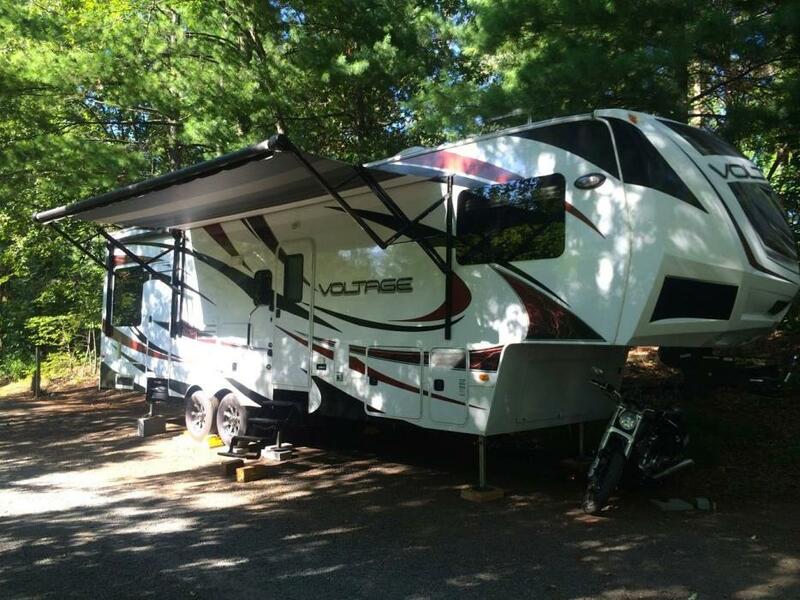 I am the second owner on this 5th wheel toy hauler. It is in excellent condition. Has not been hauled much. 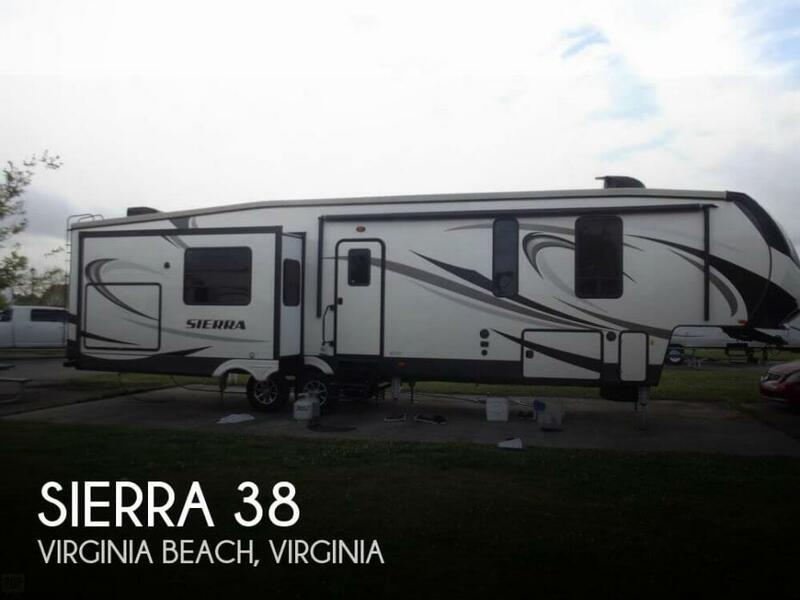 I parked it to live in in Northern Virginia because my job had me traveling about 80% of the time. It is currently parked at my property in WV about an hour and 40 minutes from the beltway. I have the title in hand. 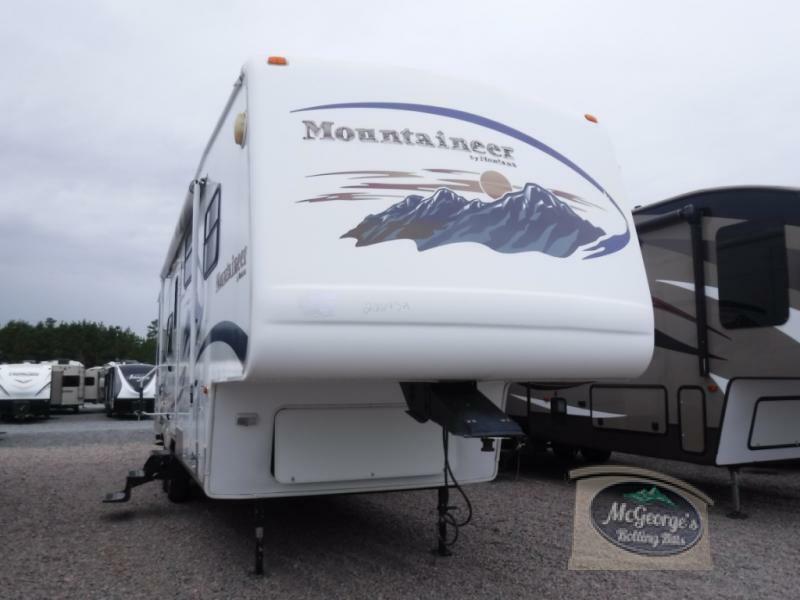 2006 Keystone RV Mountaineer 319 BHS, Double Slide, Rear Bunkhouse w/Wardrobe, Hide-A-Bed Sofa, Booth Dinette, Refrigerator, 3 Burner Range, Double Kitchen Sink, Ent. Center, Closet, Side Isle Bath w/Garden Tub, Med. Cabinet, Linen Storage, Dresser, Front Queen Bed, Full Front Wall Wardrobe, TV, Pass-Thru Storage and More. 32 feet long. 2 slides--main room and bed. 2 single bunks in separate bunk room. Table and sofa convert to beds. Full-length queen bed in main bedroom. Very comfortable. Corner shower and small lavatory; separate cubicle for toilet. 2-bowl kitchen sink with separate filter spout for drinking water. 4-burner gas stove with oven. Microwave. 3 television jacks. Nice size refrigerator/freezer. Lots of storage inside and out. Automatic front-end stabilizers; manual rear stabilizers. Outside shower. Good condition. 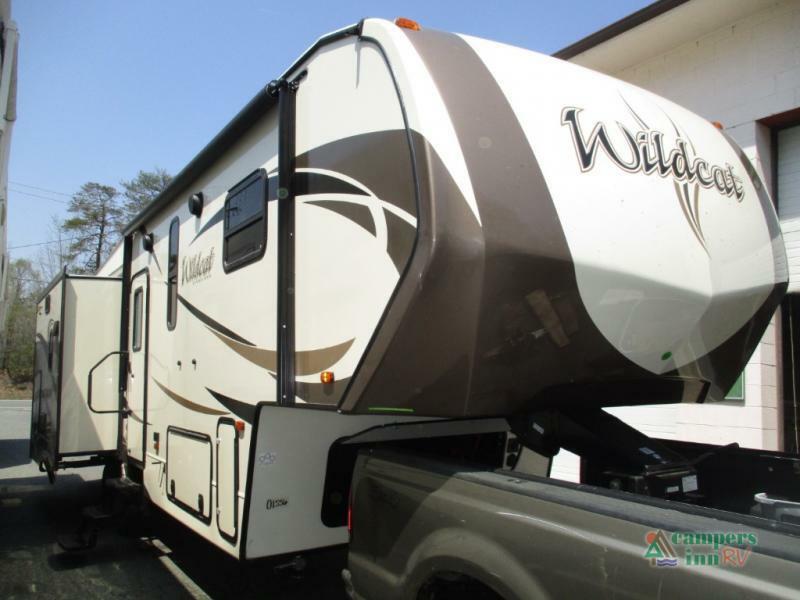 2018 Forest River RV Wildcat 29RLX, Enjoy your time away from home and in the 29RLX Wildcat fifth wheel by Forest River. This model features triple slide outs, a rear living area, and kitchen island.In the kitchen/living area find dual opposing slides. The first slide, next to the door has a three burner range, refrigerator, and 50" LED HDTV. The slide opposite features theater seating with cup holders, and enjoy your meals around the booth dinette. There is drawer storage under the seats of the dinette, or you can choose to add an optional free-standing table with chairs. 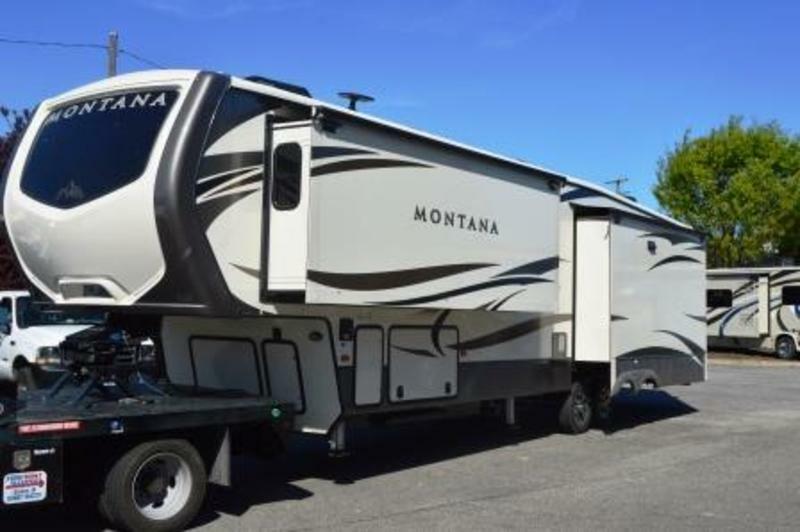 Adjacent to the slide out you will find a closet, pantry, and switch cab. In the center of the kitchen there is an island with a double kitchen sink, and along the rear wall find more seating at the hide-a-bed sofa, end tables, and overhead cabinet.Head up the step, and find the bathroom on the left. Inside the bathroom there is a toilet, shower, medicine cabinet, and sink.In the front bedroom you will enjoy the queen bed, nightstands, and slide out with wardrobe, desktop, & drawers. The room is also prepped for a washer/dryer for your convenience and much more! 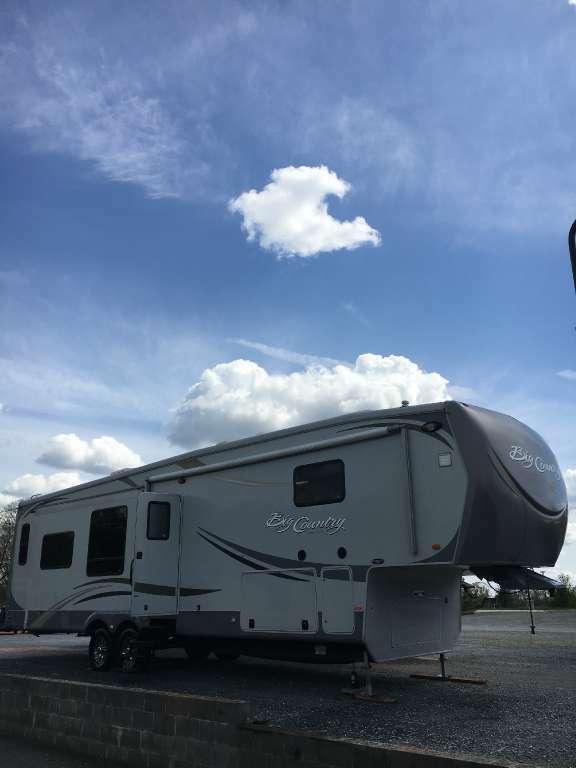 2011 Heartland Big Country 3595RE 2011 Big Country 3595RE Beautiful spacious fifth wheel camper with 4 slides. Entertainment system with flat screen TV that is motorized and can hide discreetly behind the electric fireplace. Plenty of seating space with one large sofa and two chairs in the living area. Ceiling fan. Fully equipped kitchen with solid surface counter tops and sink cover for additional counter space when needed. Four door side by side refrigerator, microwave and oven with stove top, and a kitchen table with four chairs. Beautiful private bath off bedroom with sold surface counter top and fancy glass bowl sink. Large shower with glass door. Large walk around bed with chest of drawers, plenty of closet space, large flat screen TV. Washer and dryer hook up. 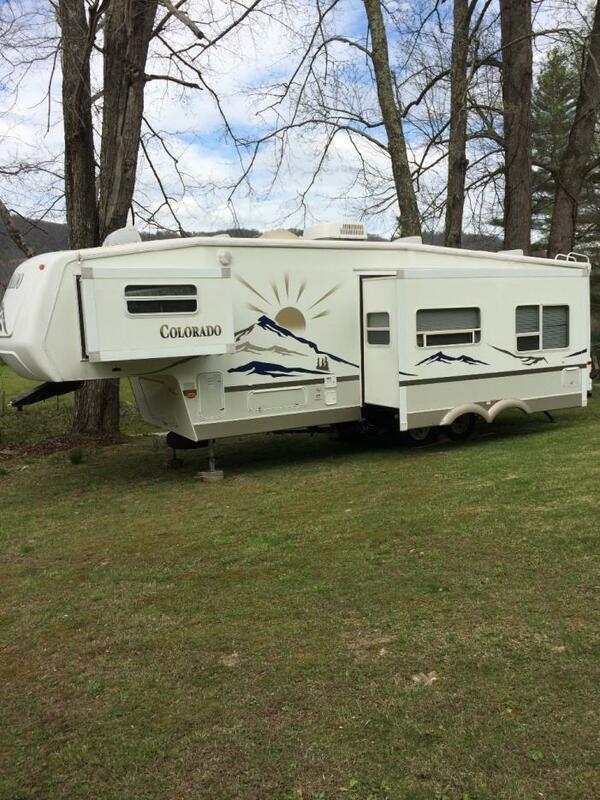 Very clean camper with classic neutral colors. A MUST SEE!!!! 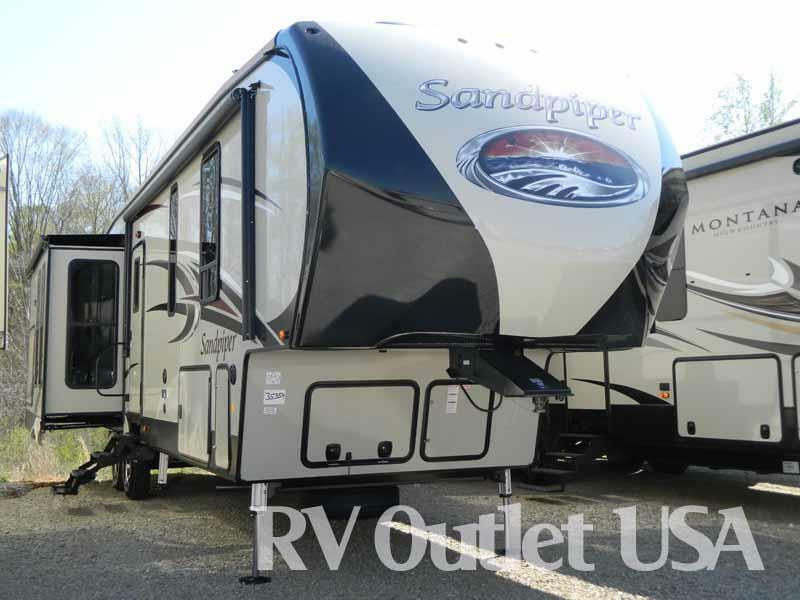 Come see it at Virginia's newest RV dealer Timberlake RV 21330 Timberlake Rd in Lynchburg! 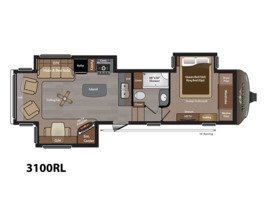 2018 Coachmen RV Chaparral Lite 30RLS, This Coachmen Chaparral Lite fifth wheel model 30RLS features a rear living layout, triple slides for added floor space, plus a kitchen island and so much more! Step inside and see just how luxurious camping can be. The main living and kitchen area feature dual opposing slide outs bringing you a wide open concept feel and plenty of room for entertaining. 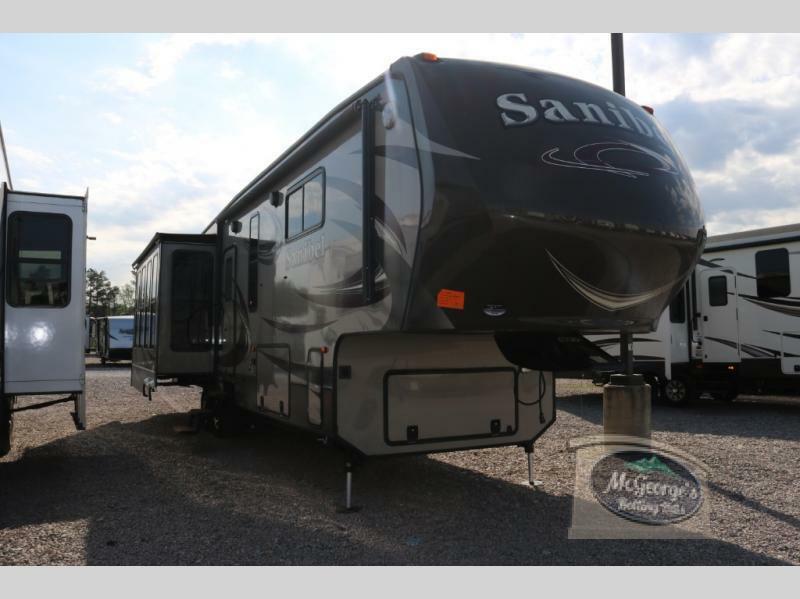 There is a slide out booth dinette and theater seats with overhead storage along the curb side wall.Along the rear wall enjoy a hide-a-bed sofa for additional seating or even sleeping space at night, plus two end tables to place your things. There is also overhead storage that stretches the entire width of the unit. Adjacent in the slide opposite the door find an entertainment center, pantry with drawers, microwave, three burner range, refrigerator, and overhead cabinets. Along the interior wall there is a hutch to display your things and overhead cabinets to store your dishes. A much desired kitchen island includes a double sink for easy clean up and extra counter space for preparing the meals. 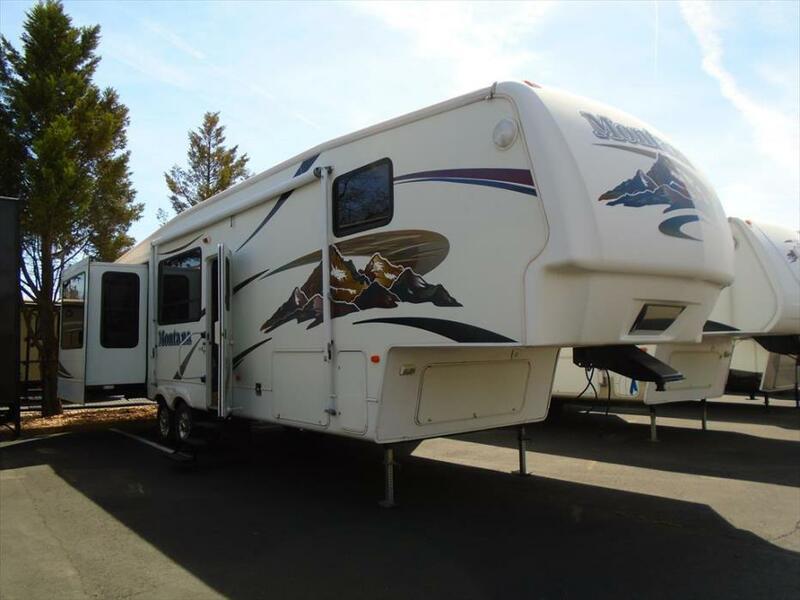 This combined area allows extra family and friends to enjoy camping with you.Up the step there is a side aisle bath and master bedroom suite that is accessible from inside the bathroom, or from the hall door. The bathroom contains a corner shower. There is also a toilet, corner vanity with sink, and a linen cabinet inside a slide out. The slide also includes a wardrobe and continues into the bedroom. Inside the bedroom there is a queen bed for sleeping with a wardrobe on one side, and nightstand on the other, plus the wardrobe/linen slide out mentioned above.